Situated in the mid-far western Terai, bordered by the Karnali River and covering the area of 968 sq km, Bardia is the biggest National park in theTerai region. Around 70% of the park is secured with Sal jungle; the staying 30% is a blend of grassland, savannah and riverine forest. It is an interesting fact given that Bardia gloats of a noteworthy 37 mammals, the majority of them excessively adorable. You will get fanatic about them even when they are not in sight. You can see guides conversing with each other to get some information about tigers and rhinos than about their families. These incorporate the huge three: Royal Bengal Tiger, Asian elephant, and One-horned rhinoceros. Deer species i.e. 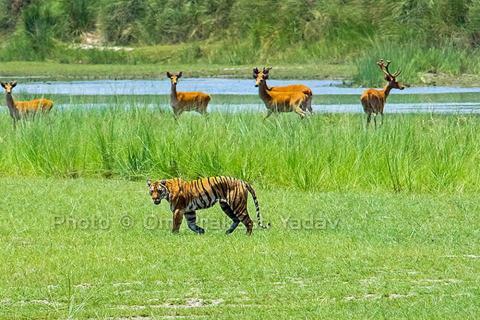 chital (spotted deer), hoard deer, and the woofing deer are all roaming around. Another inhabitant is the four-horned Antelope and Nilgai. 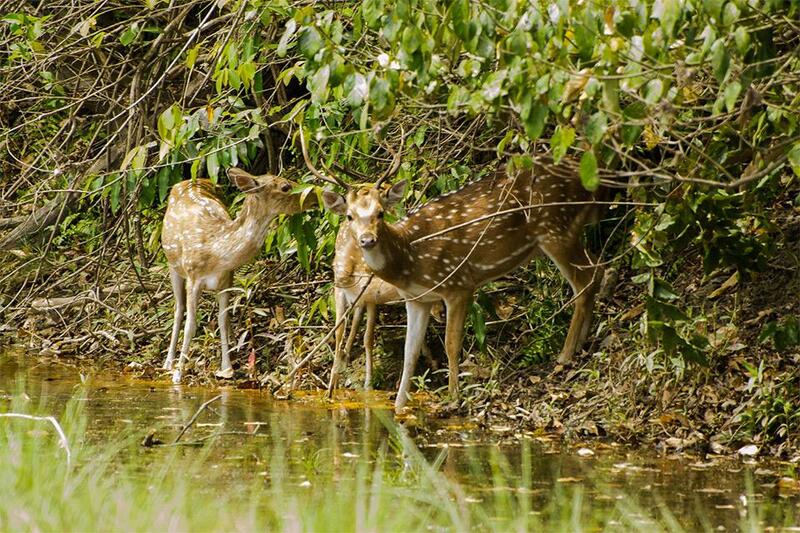 The best time of the year to visit Bardiya National Park is around the time between February and July as there is a possibility of spotting Out of this world out for water. Time around November/December is likewise a decent time to visit however the climate can be cloudy. So on the off chance that you need to feel a vicinity to the ordinary wild of Nepal, a trip to Bardia National Park can be a flawless decision. After you drop off at Nepaljung from an aeroplane, our representatives will be there to receive you. 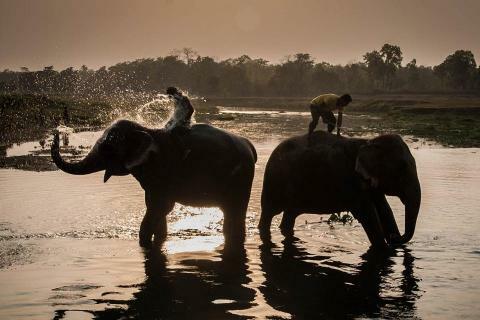 You will reach Bardiya National Park after 2 hours’ drive in a private vehicle. Then you will be transferred to a hotel where you will refresh and relax for a while. In the afternoon, you will visit around the Tharu village where the ethnic community of the Tharu resides. We will likewise tour around the visitor center of Bardiya National park and crocodile farm. Overnight in hotel. Overnight stay at resort or similar including dinner. After breakfast we set out into the forested zones by strolling where we will be joined by our guide and porters. 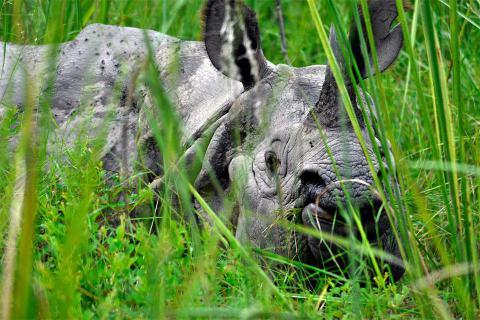 We will observe around the hot wild of Bardia National Park which is a home to a few one-horned rhinoceros, tigers, spotted dear, black buck, leopard, Jackal, and so forth. Our aides will help you take after the natural life. We will visit the freshwater Dolphin and crocodile breeding center too. There are towers inside from which you can appreciate and catch the perspective of the lovely National park. Overnight stay at resort or similar on full board basis. We will drive to Chisapani in the morning after breakfast. The primary motive for the day will be to encounter the Karnali River and the untamed natural life outside the Bardia National Park. We will be joined by an expert guide for crossing the stream which does not have any rapids. All through the excursion, we find the opportunity to welcome the astounding sub-tropical scene nearby the tranquil untamed life. Seeing the wild animals relieving their thirst and colorfully featheredbirds flying in gatherings around the Karnali River will be a dazzling background of the visit. At night, you will be engaged with the neighborhood Tharu social dance program and presented with local cooking for supper. Overnight in Bardia National Park. In the morning, we head on towards the Jungle of Bardia National Park for an elephant-back safari. You can get a completely clear perspective of the wild creatures and other delightful animals of nature through elephant safari and furthermore dispose of risk from creatures like rhinoceros. It is additionally an extraordinary affair which can be one of the everlasting recollections of your lifetime. You can also encounter several animals like rhinoceros, musk deer, monkeys, bears and so on. After lunch, our guides will help you to the Nepalgunj airport for a flight to Kathmandu from where you will return back to your country. Meals includes breakfast and lunch. Kathmandu to Nepalgunj and back to Kathmandu by flight. All Jungle activities and National park entry fees. Three meals a day Breakfast, Lunch, Dinner during the safari. Accommodation on Twin/double sharing basis on Resort or similar for 3Nights at Bardia. Safari activities as per given itinerary with nature guide. All meals and accommodation in Kathmandu (we do provide on your request with extra charge).